Hello Cal friends. My name is Ryan Puskas. I currently attend Liberty High School in Peoria, Arizona. Freshman to junior year I played safety and my senior year, I switched positions and began playing linebacker. Schools were looking at me as a linebacker when I was playing safety, so things were a little crazy. May of 2017, I received my first offer from South Dakota State. Then in October of 2017, Coach Ragle and the Cal staff offered me a scholarship. After that, things picked up fast. As I began building relationships with coaches, things got stressful. Growing up I wanted to catch touchdown passes. I felt like being a wide receiver was my best chance of becoming a NFL superstar. I started off my freshman year of high school playing wide receiver, then five games into the season, I was brought up to the varsity level to play safety. I never would’ve guessed I would be heading to Cal to play linebacker. My first time visiting Cal was April 2018. My experience there was amazing! I have never seen anything like Cal before so it was mind-blowing! The campus is beautiful and everything, from the facilities to the stadium, is top notch. It was my second time being in the Bay Area, just this time I was not in San Francisco watching fireworks on the Fourth of July. I was visiting my future home! The day I flew back home, I committed to Cal and I have not looked back since! I communicate mostly with Coach Sirmon and Coach Ragle. The entire Cal staff is awesome. Anything you need, they are there for you. They are great coaches but they are better people and that means a lot. Earning a Cal degree is very specialt. It will set you up for life. Through the brand, through the people I will meet, and everything that comes along with a Cal degree, it does not get any better. Football was around before me and it will be here after me, but getting this degree means everything. The thing I will miss most about high school is the environment of being a kid. No more spirit weeks, no more prom, no more assemblies. I’m ready to mature and move on in my life! I’m looking forward to meeting new people and earning the best degree possible while playing Division I football. I cannot wait to be a Bear! 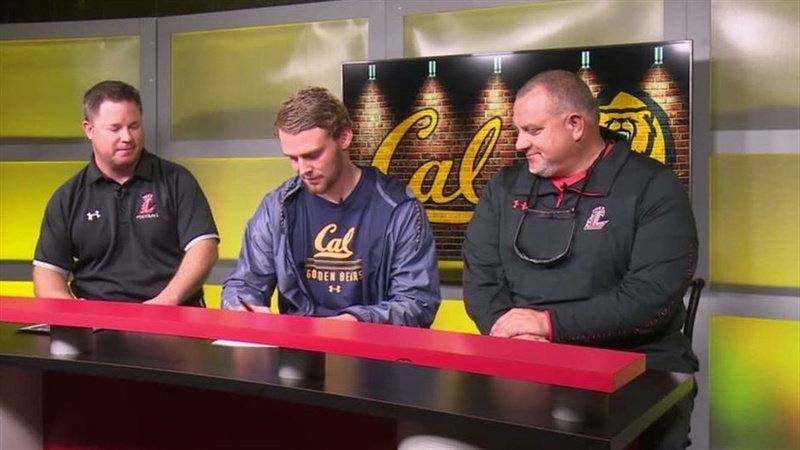 I chose Cal not only because it was the best fit to earn a degree and play football but because my friend, teammate, and brother, Braxten Croteau, is coming with me, too. We have goals and we can both push each other to achieve them. Lastly, the football program is special. It is changing and I want to be a part of the class that puts Cal football back on the map.